It’s been a while! I’ve mostly spent my free time here and there on a large-sized terrain project in UE4 that grew on me lately (having bought and played a lot with World Machine!!) I’m heavily inspired by the Wadi Rum landscape but I also want to have massives and tall sand dunes which Wadi Rum doesn’t necessarely feature. So that’s what I’m focusing on for now, nothing serious, doodling and fooling around. I’ve stumbled upon two references that struck me lately, the first one being those new dunefield they found on Mars which are totally unique and only due to Mars’ own atmosphere. The thing here to notice is that contrary to earth where we only have two patterns in dunefields (one large scaled-pattern for the dunes themselves and one small, centimeter-scaled pattern for the sand), we have one Mars a third meter-scaled pattern that leads to a very interesting and appealing look that I’d like to get. I wouldn’t mind having to rely on a fantasy vibe to excuse the dunefields not looking earth-like hehe so, we’ll see. Anyway, the second one is a standard close-up sand texture but having that Mars picture in mind I thought it would be great if that pattern was actually a medium to large scale pattern. But there’s a lot going on here to lead to those shapes. 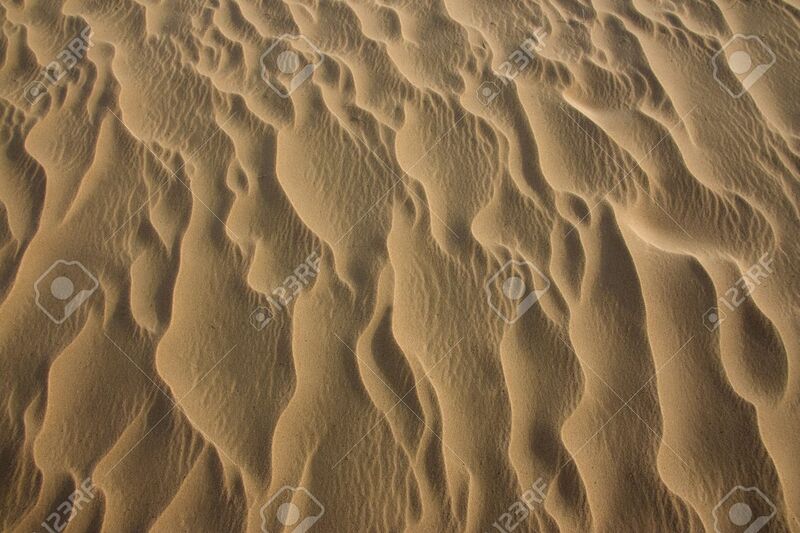 Those secondary and tertiary sand waves that are born from the main wave are very appealing but are very hard to recreate. Here is a try at a 2 kilometers squared dunefield in Substance Designer and imported in Unreal Engine. I like some of those shapes and the scale of it while walking around with the player feels okay but I’ve not yet able to recreate those secondary and tertiary waves branching from the main one. A try at a simple 2 kilometers dunefield in Substance Designer. And here is a try at a close up sand texture. I will probably tweak it to make it match with the final dune/sand pattern that I will be able to achieve. Looks pretty random for now. One more image. Here I’m focusing on a single Wave. I’m trying to get a bit the feel of that Mars reference. I like how I managed to get smaller and waves in one single side and fading in long strips the other side. But those waves doesn’t read like they are born from the main dune and so it looks a bit random.